We've all heard about the lovely, natural glow that pregnant women have, and it's certainly true, because you can see the glow on women who are expecting. And pregnant women around the globe all want to feel pampered and beautiful during this time. So, we took a look at a few products to help moms-to-be keep their skin soft and pretty. Pictured above is a very pregnant Angie Everhart. The gorgeous redhead gave birth in late July to a cute baby boy named Kayden Bobby. Angie is a first-time mom at age 39. Congratulations! 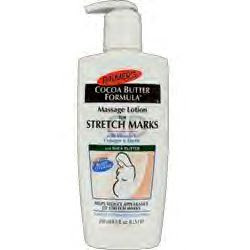 The actress/model has been asked to star in a new ad campaign for Palmer's Cocoa Butter Formula Massage Lotion for Stretch Marks. Palmer's is a popular stretch mark cream softener, and at just $6 at drugstores, it's a great deal. And it's formulated with good ingredients like Vitamin E, collagen, and elastin. 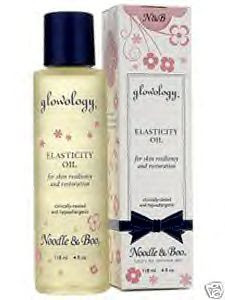 Another product you can enjoy is called Glowology Elasticity Oil ($42, http://www.noodleandboo.com/). And you can also find some on Ebay.com. This is a nourishing oil for the body, and nicely improves the skin's resiliency. And here's a beauty item that all women have come to adore from Avon. Bust Sculpt Contouring Cream ($17.50, http://www.avon.com/). Avon says their Bust Sculpt Contouring Cream is based on a unique formula they call--Virtual Bra Technology. This concept blends special ingredients that form a network of support around the bosom. And the longer you use the cream, the better the results. Breast-feeding moms say this cream firms and lifts the bust. Actress Brooke Burke, whom you might recall from her successful Dancing with the Stars title victory in 2008, is a mom of 4. And she wants moms-to-be, to feel good about themselves at this very special time. Brooke has a super website at http://www.babooshbaby.com/. "Babooshbaby is a place to visit and find hip, practical and necessary items. It is a place to learn, laugh, and have a little fun. Check the "What's New" section often as I introduce new items that will make this motherhood journey a bit easier."